Meet eight well known trainers from different disiplines and of different nationalities. Watch them train horses and discuss; What is good horse training? What is good horse training? If trainers with different backgrounds, disciplines, philosophies and methods could figure out what they have in common and what they all agree on, they might get closer to finding an answer to this question. What do they all consider important in training? 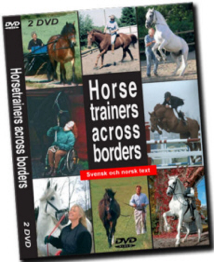 These questions are the inspiration behind the seminar called "Horse Trainers Across Borders". The event took place in July 2005 in Skurup, a small town in the south of Sweden at Ellen Ofstad's Equestrian Centre. Eight well known trainers came together and showed their methods, discussed, inspired and taught each other for three days. 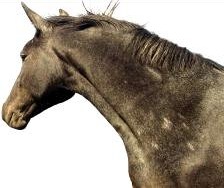 They found that although they came from different disciplines they had the same basic philosophy on how to work with horses. After the three days were over they gave a two days public seminar. Each trainer demonstrated and explained some aspect of horse training that they all considered important. Together they got closer to answering the question; What is good horse training?